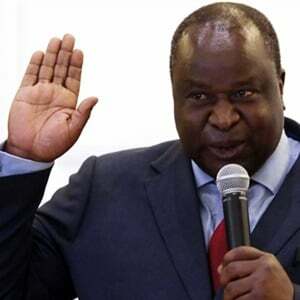 Moody's, the only major ratings agency that has not already downgraded SA's sovereign debt to junk, on Wednesday responded to Finance Minister Tito Mboweni's maiden Budget by saying it "highlights the government’s limited fiscal flexibility amid a challenging economic environment". Moody's currently has SA's debt at Baa3 with a stable outlook, one notch above junk status. Rival agencies Fitch and S&P downgraded SA's sovereign debt to non-investment grade in 2017. Were Moody's to downgrade SA to sub-investment grade, the country would automatically be ejected from the major Citi World Government Bond Index. This would force asset managers to sell billions of rands' worth of SA bonds. Moody's is scheduled to issue updated ratings in March. In a statement on Wednesday afternoon, Lucie Villa, a Moody’s senior credit officer and lead sovereign analyst for South Africa, said the Budget showed a further erosion in fiscal strength after the October mini budget already pointed to wider deficits. "Government support for Eskom, which will be only partially compensated by a reduction in other spending, and revenue under-performance lead to a renewed upward revision in fiscal deficits and debt levels, while contingent liability risks persist," she said. Villa's statement does not constitute a ratings action. 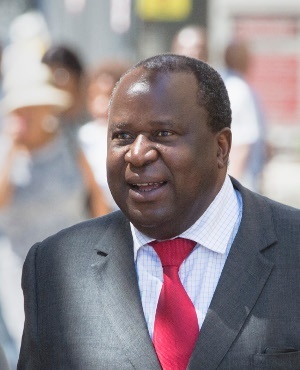 Speaking to journalists at a pre-Budget briefing, Mboweni said the state was basically placing Eskom "under curatorship", and warned the R23bn a year lifeline came with conditions attached. Part of the support package includes the installment of a "chief reorganisation officer" at Eskom who will be jointly appointed by Mboweni and Public Enterprises Minister Pravin Gordhan. Earlier Investec Chief Economist Annabel Bishop said the Budget could possibly stave off a credit negative response from Moody's. "Government expenditure is projected to rise only in one year to provide financial support to Eskom. This may be seen as credit negative by Moody’s, but as it is only one year it may be enough to stave off an actual credit rating downgrade or even change to the outlook for the year," she said.